When I decided to remodel my kitchen, recycled glass tile was one of the materials I considered using. While I ultimately chose another material, recycled glass tile has become popular with architects and homeowners who are drawn to its unique aesthetic. It’s difficult to say exactly how environmentally sensitive recycled glass tile is when you consider that the only environmental benefit is that it uses recycled materials. The glass must be melted to be used, a process that expends tremendous amounts of energy. And while it’s good to keep consumer waste out of landfills, glass can be recycled into many different things, not just tiles. It is also difficult to get consistent color with recycled glass. For this reason, many manufacturers combine the types of glass they use. 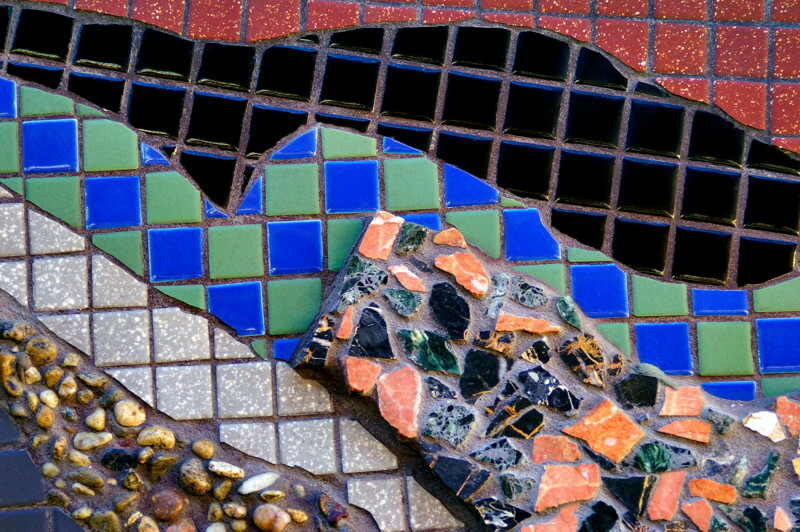 Some colors of glass tile may contain less than 25 percent of post consumer glass. That’s not to say that these tiles aren’t better environmentally than other options, just keep in mind that the actual environmental benefit may be quite small. While glass tile manufacturers will often emphasize the ability of glass to resist stains and chemical damage, they are not as forthcoming with their product’s tendency to scratch and even shatter . For this reason, glass tile is probably best regulated to a backsplash or as a decorative accent to another material. If you are determined to use it on a more high traffic area, such as a foyer or even a kitchen countertop, choose a rough, cloudy variety to hide the inevitable scratches. Installing glass tile is particularly difficult job when compared with other tiles. When you install ceramic tile, for example, you begin by applying the adhesive with a notched trowel, then pressing the tile onto the wall. With translucent glass tile the process is much more complex, as the individual lines of adhesive can be seen through the glass if care is not taken. I have found the easiest way to avoid this is to smooth the adhesive with a metal trowel after applying it to the wall. The key is to make sure that the layers are even, and you must also know how much thin set is required to keep the tile in place. In general, I’ve found a 1/16" layer works well. What I’ve found works even better is calling a professional to lay the tile, especially if you are using a mosaic variety. Mosaics up the complexity of installation, as well as the cost when compared to other glass tile varieties. Simply put, don’t attempt to install this tile until you’ve completed a few jobs using ceramic tile. Disregard this advice and you may get lucky, and you may also ruin tile that can easily cost $30 per square foot. Glass Tile: Green Building Material…or not? With no particular green credentials, questionable durability and a high price point you may be inclined to believe that only the foolish are buying glass tile. However, recycled glass tile, no matter what its drawbacks, is an incredibly beautiful material. The right tile can elevate the entire appearance of the room, reflecting light where most tiles simply absorb it. Combined with other materials, even a small amount can give the whole room a greater appeal. AboutGlassTile has a fantastic DIY How-To Tutorial on everything you need to know to cut, drill into, and install glass tile. And that’s not all…learn how to lay mosaic glass tile sheets! Beautiful glass tile photo galleries of installed glass tile in bathrooms, kitchens, foyers, in and around pools, and flooring. How are the 2 prominent glass tile surface treatments made? Oceanside GlassTile, a leader in handcrafted glass tile, reuses more than 2 million pounds of recycled glass collected curbside (cullet) and turns it into some of the world’s finest handcrafted glass tiles. Learn more about Oceanside GlassTile if you’re into it.